Newly crowned IBF World Heavyweight Champion Anthony Joshua (16-0, 16 KO’s), will be making the first defense of his title on June 25th 2106. The fight will take place at the O2 Arena in London England, and will be televised on SKY Box Office PPV for the Brits. It has not yet been announced which American network will televise the fight (HBO or ShowTime), but one must assume that ShowTime will be the winner with there ShowTime International Series. Joshua won the IBF World Heavyweight title back on April 9th, when he knocked out former champion Charles Martin in the second round. Martin won the title by default anyway, when he defeated Vyacheslav Glaskov for the vacant title, after Glaskov suffered a knee injury in the 3rd round, and was unable to continue. As expected, Anthony Joshua will defend his IBF World Heavyweight title against upstart Dominic Breazeale (17-0, 15 KO’s). Beazeale is still raw and lacks in the stamina department. He had a lot of trouble against Amir Marsour, who at the time of their fight was 44 years old. Breazeale eventually knocked him out, but Mansour hurt him want times in their fight, and even put him down. In the fight before that, Fred Kassi gave Breazeale fits as well, but he escaped with a narrow unanimous decision victory. Breazeale’s resume is not an impressive one, and the casual fan would probably not recognize any names on it. Now he gets the opportunity of a lifetime against Joshua for a world title. Also added to the card is Martin Murray (32-3-1, 15 KO’s) VS George Groves (23-3, 18 KO’s). This will be a good one! After losing to Gennady Golovkin, Murray moved up to Super Middleweight. The move was a successful one, and after piling up 3 wins in England, Murray even fought for the WBO title against Arthur Abraham. Murray lost the fight via split decision, but many thought he should have been the winner in hostile Germany. George Groves lost to Badou Jack back in September of 2015, but has been busy since. He won two fights on January 30th and April 9th of 2016, and will be defending his WBA International Super Middleweight title against Murray. Also last night on Showtime Boxing International and Sky Sports Box Office, undefeated rising star, and widely considered the future of Heavyweight boxing, Anthony Joshua (16-0, 16 KO’s) defeated Charles Martin (23-1-1, 21 KO’s) to capture the IBF world heavyweight championship. 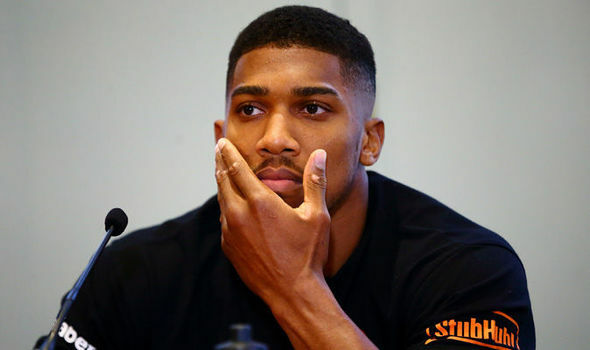 Joshua is considered the future of the heavyweight division, as he goes from Olympic Gold Medalist, to top prospect, to Heavyweight Champion, in what was only his 16th professional fight. No one expected this one to last long, as 2 of the worlds biggest punchers went at in in the O2 Arena in London. Joshua, coming in as the favorite, and in his home country, made quick work of Martin, as he defeated him via 2nd round KO. Joshua came in behind the jab with a huge right hand that dropped Marin, and seconds later after Martin got up, he repeated the same exact thing again. This time Martin would not be able to answer the 10 count. Marin did show enormous class after the fight, as he lifted the hand of his opponent and congratulated him. Although Martin does have an impressive record (23-0-1, 21 KO’s), he has not fought any good competition. If you look at the list of opponents he has faced, chances are you haven’t heard of any of them. This is because Martin has been babied thus far in his career, taking easy fights against journeymen and nobodies. Martin was thrown into a title fight for the vacant IBF title, after it was stripped from Tyson Fury. His opponent was Vyacheslav Glazkov, who was by far the best fighter martin has ever faced. Glazkov went down in the fight with a knee injury and was unable to continue due to it. So by default, Martin became a world champion, in a fight he was actually losing. Although Stevenson (27-1, 22 KO’s) did not start off as a ‘paper champion”, he sure did become one. Stevenson’s rise to champion was a very impressive one. He took the lineal/Ring/WBC Light Heavyweight championships away from Chad Dawson in a 1 round KO victory, in which he knocked Dawson clear across the ring with one punch. Since then, he has done nothing, and fought no one worth mentioning except Andrzej Fonfara, who almost knocked him out. Even though his rise to world champion was super impressive, Stevenson has become nothing more then a place holder, for the eventual “Lineal” reign of Sergey Kovalev. Just like Stevenson, Billy Joe Saunders (23-0, 12KO’s) is a bridge between Gennady Golovkin and greatness. Saunders has refused to fight Glolovkin, even though he was offered $4 million for the fight. Saunders defeated Chris Eubank in the WBO title eliminator with a very controversial split decision, and then took the title from Andy Lee, who is essentially a one handed fighter. The Middleweight division will eventually be unified, and every belt will be around Golovkin’s waist. Canelo Alvarez (46-1-1, 32 KO’s) is a great fighter. The only reason he is on this list is because he is not a true Middleweight. He defeated Miguel Cotto for the titles, who is also not a true middleweight, and he refuses to fight anyone at 160 pounds. 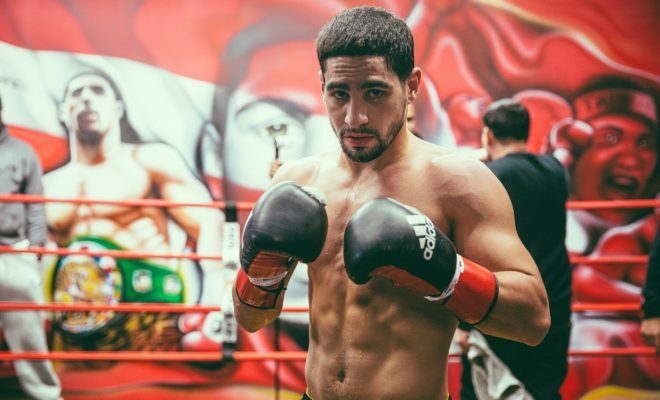 He has essentially created his own division at a catch weight of 155 pounds, which is something between Junior Middleweight and Middleweight. For those who don’t know, this division does not actually exist. His next fight will be against Amir Khan, who has never fought above welterweight. Alvarez should fight at the full Middleweight weight of 160 pounds, or be stripped of his titles if he refuses. 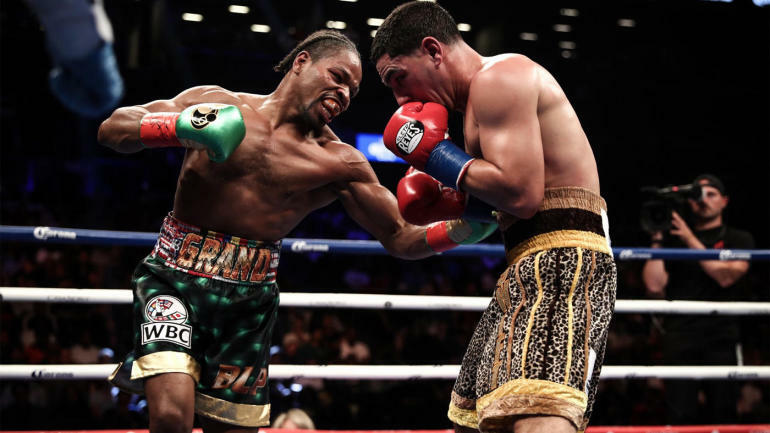 Garcia made a huge name for himself at Junior Welterweight. He beat everybody!!! He beat Eric Morales twice, he beat Zab Judah, Lucas Matthysse, and even Amir Khan. Thats an impressive resume. But after the Matthysse fight, he started fighting nobodies. Just like Canelo did, Garcia started fighting at catch weights, and even went as far as not defending his titles in these catch weight fights. The one time he fought someone good (Lamont Peterson), he almost lost. Then Garcia vacated his titles, and moved to welterweight. He beat Paulie Malignaggi, who is way past his prime, and after that he was thrown into a title fight against Robert Guerrero for a vacant title. All the natural talent will not save you, if you don’t have the right head on ur shoulders. Adrien Broner (31-2, 23 KO’s) is the prime example of that. Broner was mowing everyone down early in his career, and people saw him as air-apparent to Floyd Mayweather’s thrown. Since he has stepped up the level of completion he has fought, he has struggled mightily. Gavin Rees gave him fits at the start of their fight, but Broner eventually beat him. Many thought Malignaggi beat Broner in their fight but was robbed. Then Marcos Maidana demolished him. After that, Broner took 3 easy fights, before being beaten by Shawn Porter. For some reason after that loss, Broner found himself in a fight for the vacant WBA title. What exactly he did to deserve that was beyond me, and he had a very easy opponent to deal with in that one (Khabib Allakhverdiev). That vacant title fight should have gone to Lucas Matthysse and Ruslan Provodnikov. Instead, they fought a non title fight which was absolutely amazing. After losing the WBO Junior Lightweight title to Mikey Garcia by knockout, Rocky Martinez (29-2-3, 17 KO’s) fought Herbert Quarty. Who??? Exactly! After that, he got another shot at the same title, this time against Orlando Salido who he would beat via unanimous decision. In the rematch, Salido would railroad Marinez, but somehow lose via split draw, which in my opinion, and many others, was highway robbery. Salido beat him all around the ring, and the final decision of the fight was an absolute joke. The draw means that Martinez remains champion, but we all know Salido should be the champion. On April 9th 2016, at the O2 Arena in London England, Charles Martin (23-0-1, 21 KO’s) will make his first defense of his IBF Heavyweight title. His opponent will he England’s own, Anthony Joshua (15-0, 15 KO’s), a young and rising super athletic heavyweight. Tyson Fury was stripped of the IBF title after refusing to fight his mandatory opponent, in order to have a rematch with Wladimir Klitschko. Chalres Martin defeated Vyacheslav Glazkov for the vacant IBF title back in January bt TKO 3rd round, after Glazkov suffered a knee injury, and was unable to continue. In what was a very anticlimactic fight, Martin was actually behind on the scorecards, when Glazkov suffered the untimely injury. Martin had not fought anyone that the casual boxing fan would have heard of, and was somehow thrown into a title fight for the vacant IBF Heavyweight championship. With his TKO victory over the injured Glazkov, Martin became one of the many underserving champions that we have today. Anthony Joshua on the other hand has been extremely impressive in his young career thus far. Joshua is undefeated with a record of 15-0, with all of his victories coming by knockout. His most recent was the 7th round TKO victory over Dillan Whyte in December of 2015. It may not have been the most impressive victory that Joshua has had in his young career, but none the less he won the fight with a huge step up in competition. He also won the British Heavyweight title in that fight, along with retaining the WBC International & Commonwealth Heavyweight titles. On April 9th, Joshua makes his first attempt at a World Title against Charles Martin.